May | 2015 | Welcome to our Blog! Straight Line Industrial Services(SLI) takes pride in providing the highest quality products and services all over Texas and the Gulf Coast. While SLI has completed many projects in other areas of the country, work in neighboring Louisiana was always lacking. 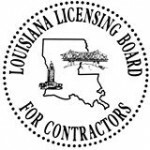 In an effort to promote its products and services in Louisiana, SLI has procured a contractors license from the Louisiana Licensing Board for Contractors. Straight Line Industrial Services Inc, is always on the forefront of safety and is dedicated to providing quality business in accordance to each states regulations . With our Louisiana Contractor License in hand, Straight Line Industrial Services is looking forward to developing and maintaining business relationships in the State of Louisiana . Winter is Here! Is your facility ready..
Maintenance/Insulation Project at Stolthaven Houston Inc.
2016 copiryght by Straight Line Industrial Services, Inc.